Dr. Lawrence Palevsky, a well-respected pediatrician and fellow of American Academy of Pediatrics, discusses how disease mortality declined well before the introduction of vaccines in this one-minute MUST-WATCH video. In the United States (and other countries), historical records show that disease mortality declined nearly 90% before the introduction of the vaccine program and routine vaccination programs — as stated in the Trends in the Health of Americans report. How is this possible? The pharmaceutical/medical industry has spent MILLIONS convincing us that vaccines saved us all from imminent disease death, but history proves this is more of a marketing tactic than a fact. A marketing tactic that helps ensure the nearly $60 BILLION vaccine market keeps growing. The 19th-century population shift from country to city that accompanied industrialization and immigration led to overcrowding in newly populated cities that lacked proper sanitation or clean water systems. These conditions resulted in repeated outbreaks of cholera, dysentery, TB, typhoid fever, influenza, yellow fever, and malaria. By 1900, however, the incidence of many of these diseases had begun to decline because of public health improvements, implementation of which continued into the 20th century. Local, state, and federal efforts to improve sanitation and hygiene reinforced the concept of collective “public health” action (e.g. to prevent infection by providing clean drinking water). By 1900, 40 of the 45 states had established health departments. The first county health departments were established in 1908 (6). From the 1930s through the 1950s, state and local health departments made substantial progress in disease prevention activities, including sewage disposal, water treatment, food safety, organized solid waste disposal, and public education about hygienic practices (e.g. food handling and handwashing). Chlorination and other treatments of drinking water began in the early 1900s and became widespread public health practices, further decreasing the incidence of waterborne diseases. The incidence of Tuberculosis (TB) also declined as improvements in housing reduced crowding and TB-control programs were initiated. In 1900, 194 of every 100,000 U.S. residents died from TB — the second leading cause of death — and most were residents of urban areas. In 1940 (before the introduction of antibiotic therapy), TB remained a leading cause of death, but the crude death rate had decreased to 46 per 100,000 persons. There was never a vaccine for Tuberculosis in the United States. Yet other countries TB rates also decreased before the TB vaccine was introduced. Did vaccines save us? The evidence speaks for itself. Read the report HERE! This report from the Center for Disease Control in the US clearly shows that the decline in disease was due to clean water systems and sanitation — NOT vaccines. This report was written before the CDC became grossly intertwined with the pharmaceutical industry. “The occurrence of diseases such as cholera and typhoid dropped dramatically. In 1900, the occurrence of typhoid fever in the United States was approximately 100 cases per 100,000 people. By 1920, it had decreased to 33.8 cases per 100,000 people. In 2006, it had decreased to 0.1 cases per 100,000 people (only 353 cases) with approximately 75% occurring among international travelers. Typhoid fever decreased rapidly in cities from Baltimore to Chicago as water disinfection and treatment was instituted. This decrease in illness is credited to the implementation of drinking water disinfection and treatment, improving the quality of source water, and improvements in sanitation and hygiene. Click here for the CDC report here. This study shows smallpox mortality declined before the vaccine was introduced. This is the question we always hear. First, it’s important to note that Polio is a very common virus, much like a cold or flu virus. Most Americans had/have the polio virus in our bodies at some point, although we are never tested for it unless we have paralysis. We all have dozens of different viruses in our system at one time because that is how nature keeps our immune systems stimulated. The paralysis that was blamed on the poliovirus in the 1940s and 50s was actually due to the widespread chemical/pesticide spraying of DDT, a highly toxic (now banned) pesticide. But the US government and health departments, along with chemical companies, were encouraging the spraying of DDT on the American public. Mass DDT spraying campaigns took place on beaches, aerially over swimming pools and parks — especially during the summer months (aka farming season). Coincidentally most “polio” paralysis cases happened during the summer months and in children. Parents were even encouraged to spray their children directly with the highly toxic chemical as well as put it in baths and other places where children had direct contact with DDT. Polio increased with the introduction of DDT and started declining before the polio vaccine was introduced. Click here for more. In the mid-1940s, scientists began to alert the government and Congress that DDT spraying was causing a huge increase in paralysis and nervous system damage. But the US government, on the back of World War Two, couldn’t admit their mistake — a mistake that would have cost them MILLIONS in damages through lawsuits from those affected. Someone then had the brilliant idea to quietly start exporting DDT instead of spraying Americans, slowly ban DDT as not to cause alarm and promote a “solution” in the form of the polio vaccine. It’s one of the most shocking and most commonly believed medical myths, which is still regularly repeated on television, in history books and by an unaware public that never bothers to look beyond the charade. Pharmaceutical companies and the medical system love to vilify viruses, but are they really bad for your body? Science is discovering there are many benefits to common illnesses, particularly in childhood, and theorize that viruses actually help train the immune system in a way that can REDUCE the risk of more serious issues later in life, including cancer. Yes, you read that right: natural viruses can PROTECT from disease later in life. For thousands of years, humans have lived synergistically with viruses and bacteria. And now science is discovering that they actually serve a purpose on our journey to transformation and health. Why aren’t we afraid of all diseases? The only diseases we fear are the ones that a vaccine has been developed and marketed for. We never feared measles and mumps in the early 20th century… the media tells us what to fear, so they can then sell you an alleged solution. There are literally THOUSANDS of diseases. Take Leprosy for instance. Because there’s no vaccine for leprosy. the death rate caused from infectious diseases, including smallpox, polio and the measles was already declining rapidly in developing countries long before vaccines were first introduced, which had absolutely nothing to do with vaccines. CDC’s Vital Statistics Rates in the United States from 1940-1960 (Table 65: Death rates for detailed causes) page 596 (of the pdf paper) or 602 in the page number, computer link: 0.2 per 100,000 (2 per million) in 1960, in 1958 0.3 per 100,000 (3 per million), which is less than one percent, prior to the introduction of vaccines. “licensed” vaccines so they could steal credit for it. How? …By simply writing “vaccines” on disease charts instead of writing “vaccine licensing” so that it appears as though the vaccines are what decreased and/or eradicated disease. In reality, it was only AFTER disease rates fell, that the very first vaccine jab was given (usually several yearsafter being “licensed”), yet the CDC does not distinguish this on THEIR charts. One must look to The Office of Vital Statistics and elsewhere, for the truth. 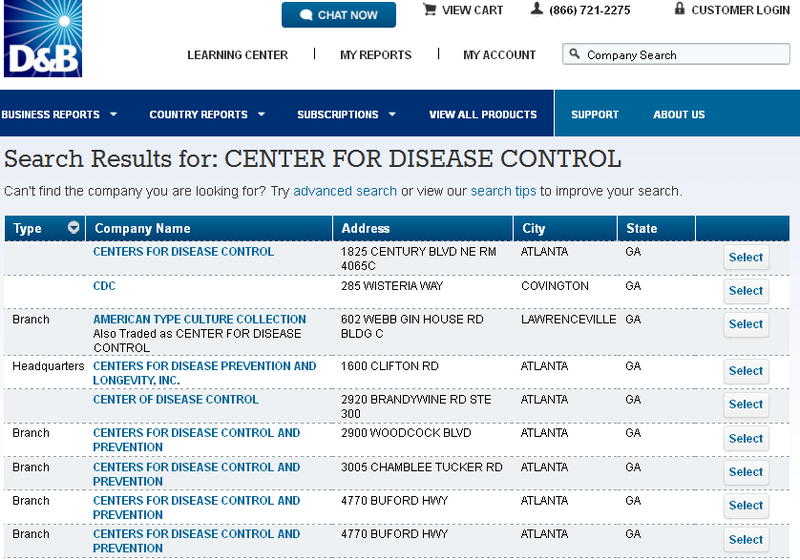 It helps to know that the CDC is NOT a government agency, …It is a privately held corporation. For documentation of this, see the CDC listed on the official Dun and Bradstreet business report. Vaccines reduced disease….said no data or statistics ever. Five injections are now on the vaccine schedule for pertussis (whooping couch). The CDC’s own annual report shows every year that those who received 3 or more doses of Dtap are between 4-6x more likely to get whooping cough than those who received ZERO shots. Vaccines are not responsible for the decrease in disease deaths — vaccines were an afterthought from companies who had products to sell. Tuberculosis was the number one killer in 1900 — but know anyone with it now?? This is not due to vaccines because there was NEVER a vaccine for it in the US. Same for scarlet fever, cholera and typhoid. Where are those diseases now? If vaccines saved us then clearly we would all be dying of these diseases. Historical data HERE.